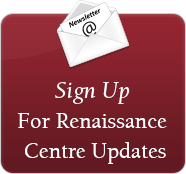 Welcome to the Wake Forest Renaissance Centre, located in the heart of Wake Forest's Renaissance District! We aim to ensure your experience is as pleasant as possible. Whether you require information about accommodations, local dining, or other things to do while you’re here - this is where to find it. View an interactive map and full listing of directions to the Wake Forest Renaissance Centre, 405 S. Brooks St. Please note: If entering the address in a GPS unit, use 405 Brooks Street, Wake Forest, NC. Several hotels, along with a beautiful bed and breakfast, serve the Wake Forest area, all within minutes of the Wake Forest Renaissance Centre. Downtown Wake Forest offers many restaurant choices, all within walking distance of the Renaissance Centre. The Wake Forest Renaissance Centre for the Arts is committed to making its facility and programming accessible to the widest possible audience, including individuals with disabilities. From the Wake Forest College Birthplace and The Factory, to the Farmers Market and the town's numerous parks and greenways, there's no shortage of things to do and see while you're here.